today i'm starting my Salon Perfect reviews, i'm so thankful to have been sent a bunch of press samples and really share a lot of the brand with you all! i thought the best way to start would be with their top coat, Crystal Clear Top Coat (as you might have guessed, it's a press sample, kindly sent to me for review!). i'm really impressed with it, it dries quickly and with a high shine! here's a look at the bottle. let me know if you like seeing bottle shots, i can start including them in all my posts! i wanted to swatch this on my naked nails, but once applied to my bare nail, most of it absorbed into the nail, causing it not to have that glossy finish i love so much! i then added a coat of Butter London Nail Foundation Flawless Basecoat, which i topped with Salon Perfect Crystal Clear Top Coat. this gave much more of the glossy finish, but still wasn't quite as glossy as when it's applied over regular polish. not sure why this is! 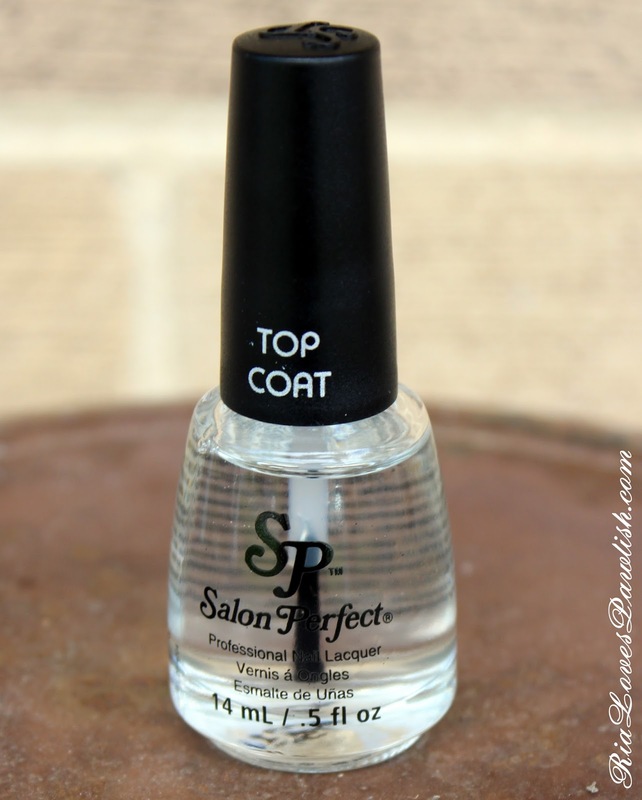 let me know if you've tried out this top coat and how it worked for you! FingerPaints Film Noir... Film Noir!